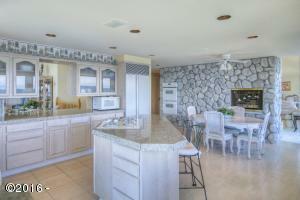 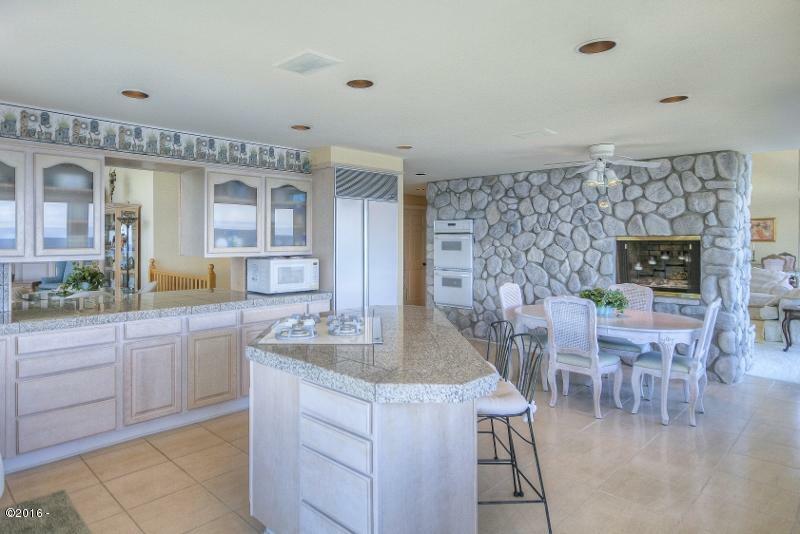 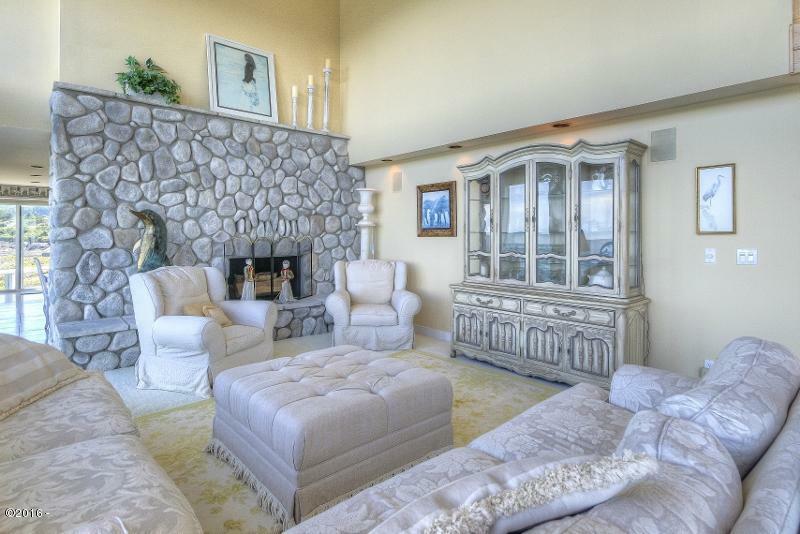 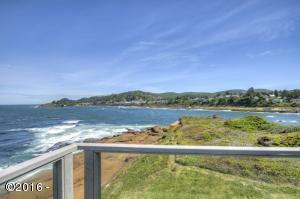 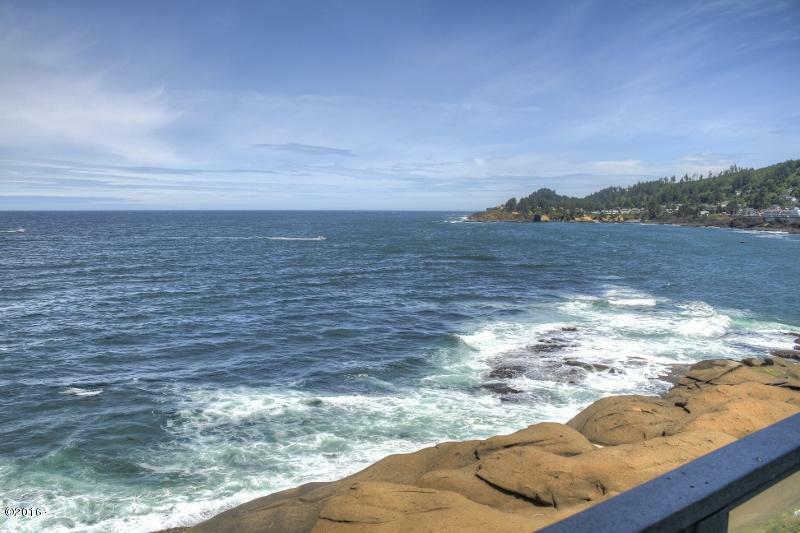 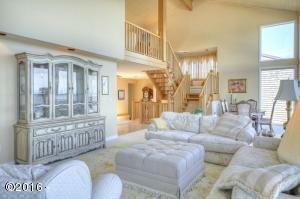 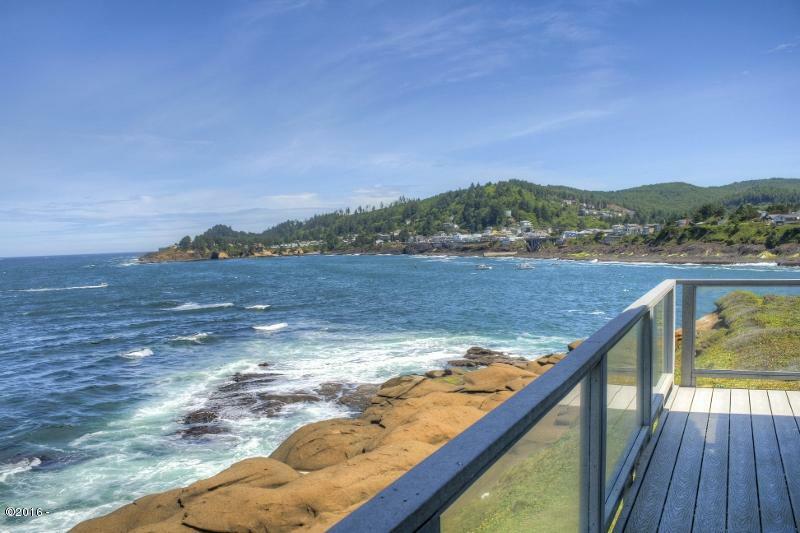 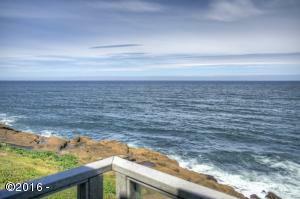 Dramatic setting with over 220 degree views from this oceanfront home on .88 acre site. 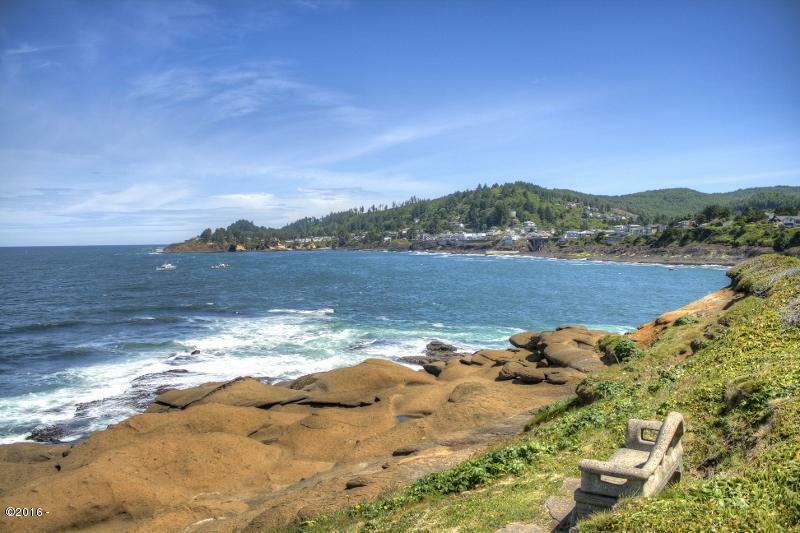 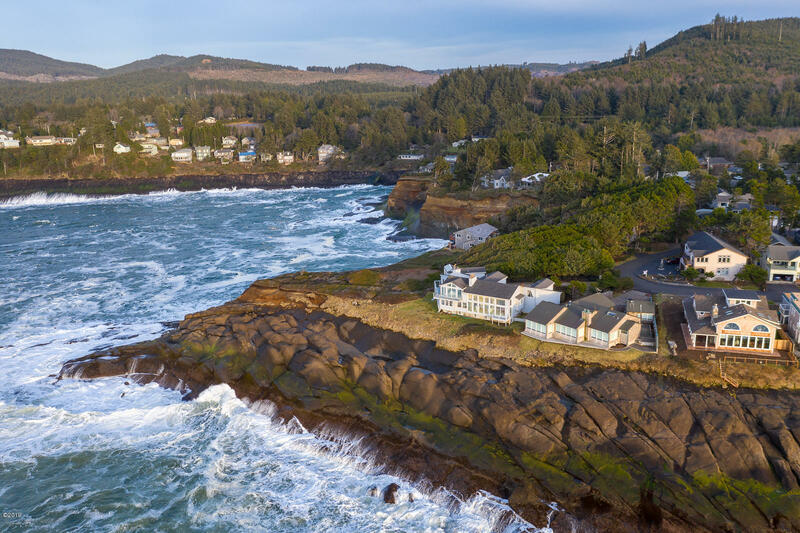 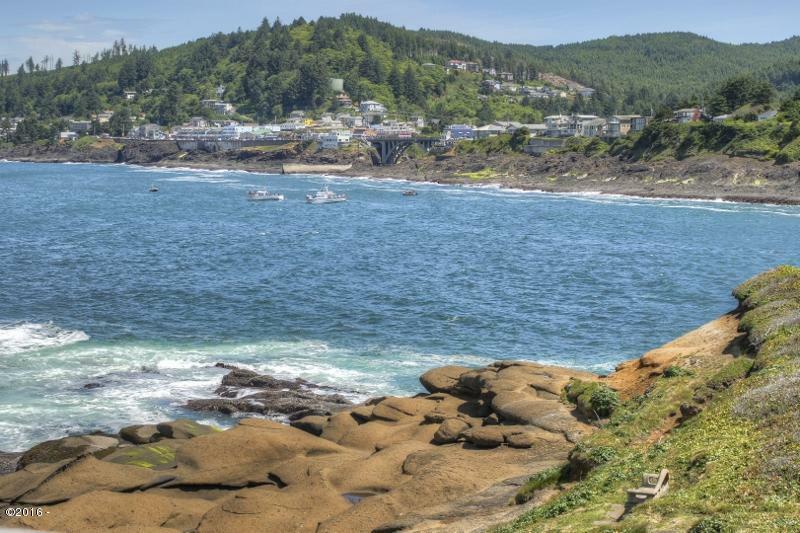 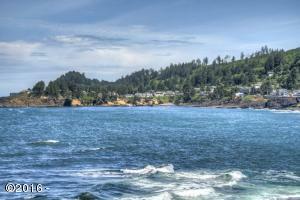 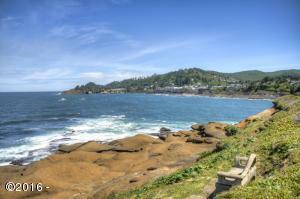 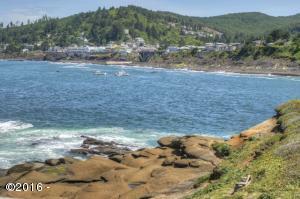 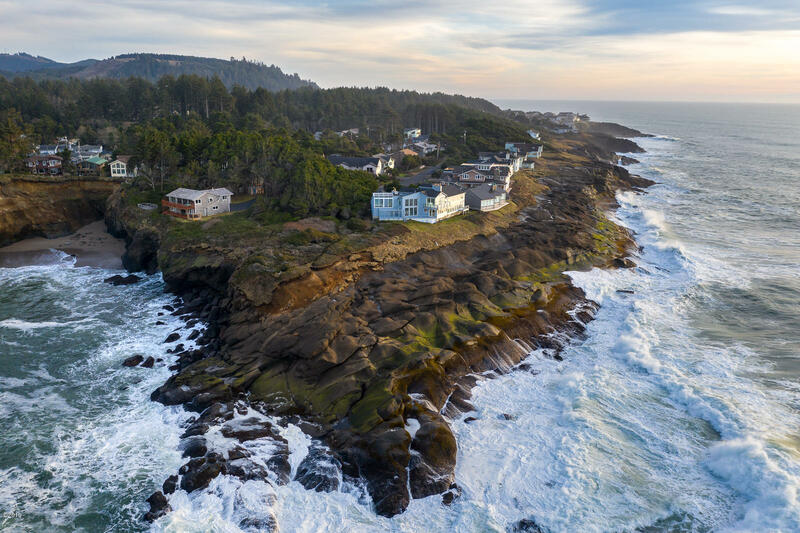 There is not another location like this on the Oregon Coast! 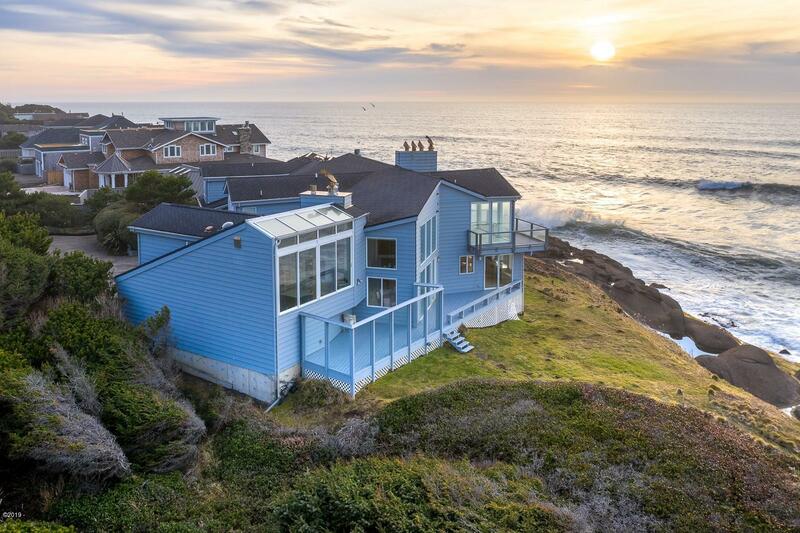 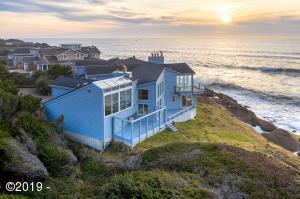 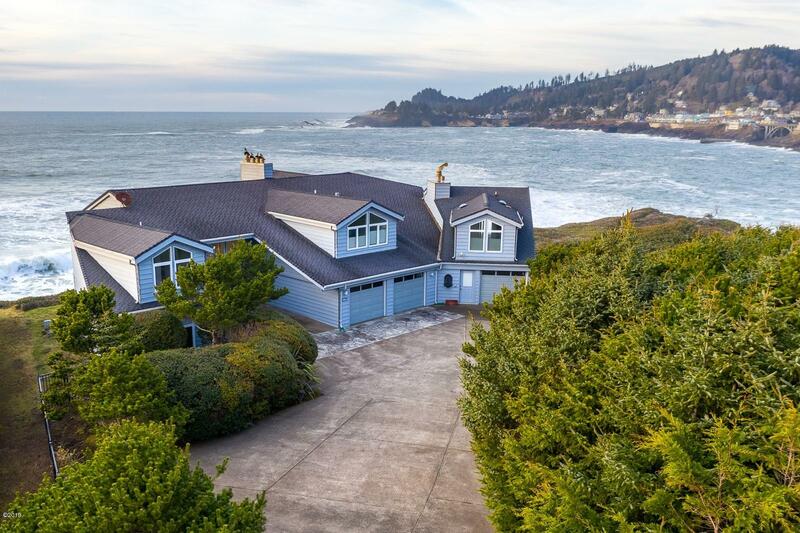 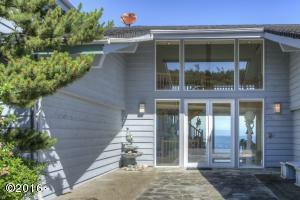 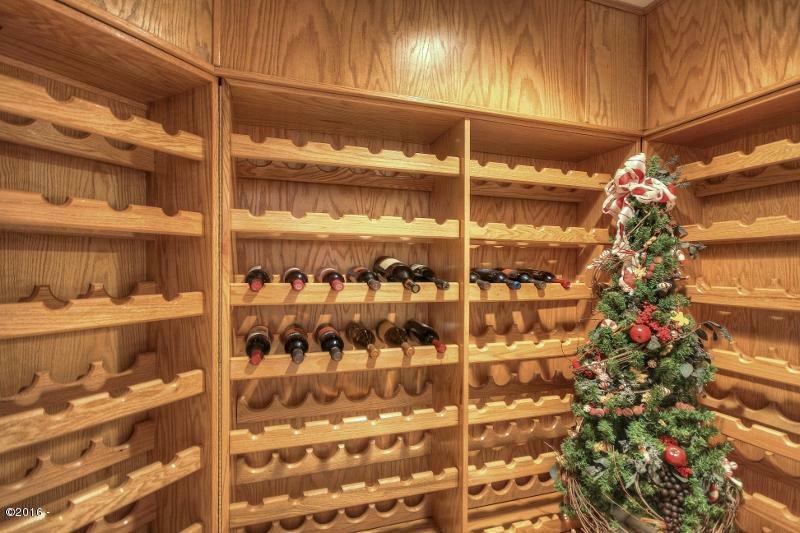 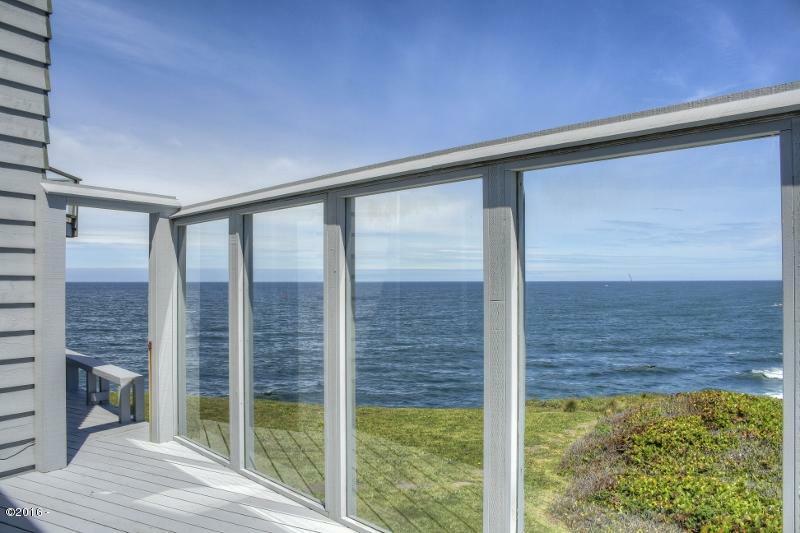 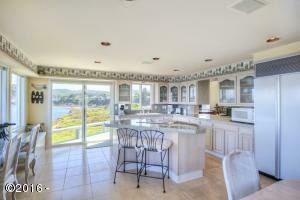 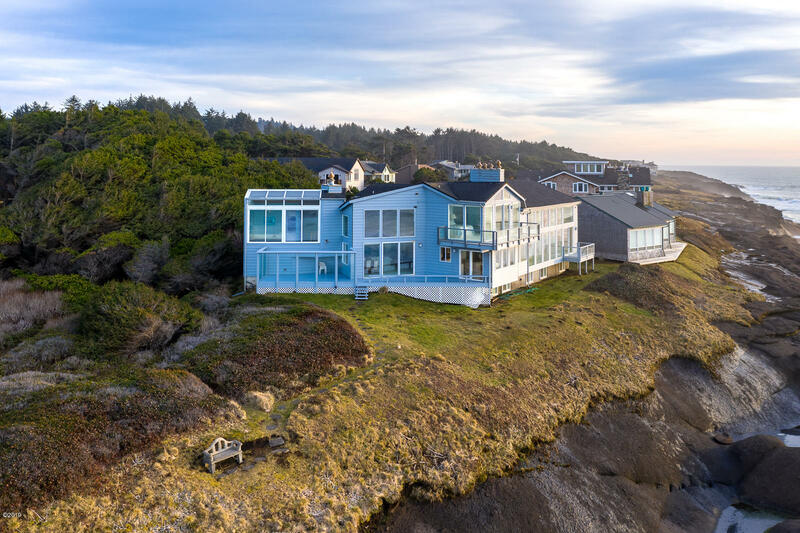 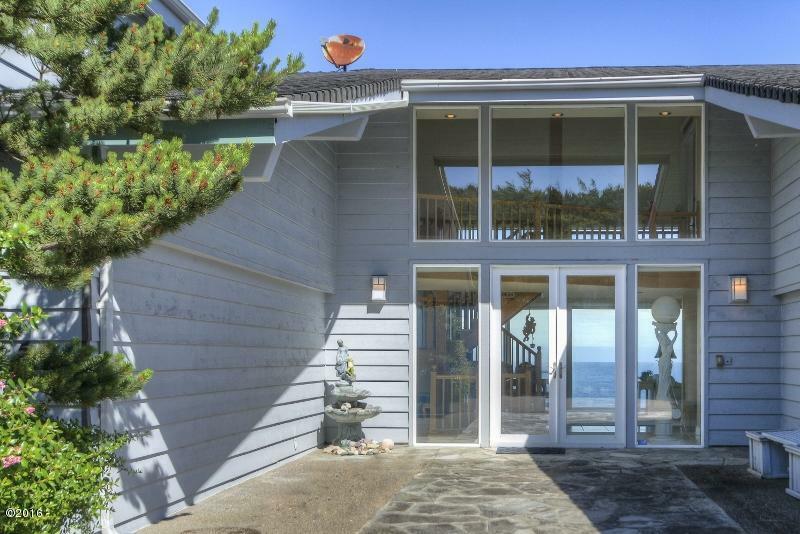 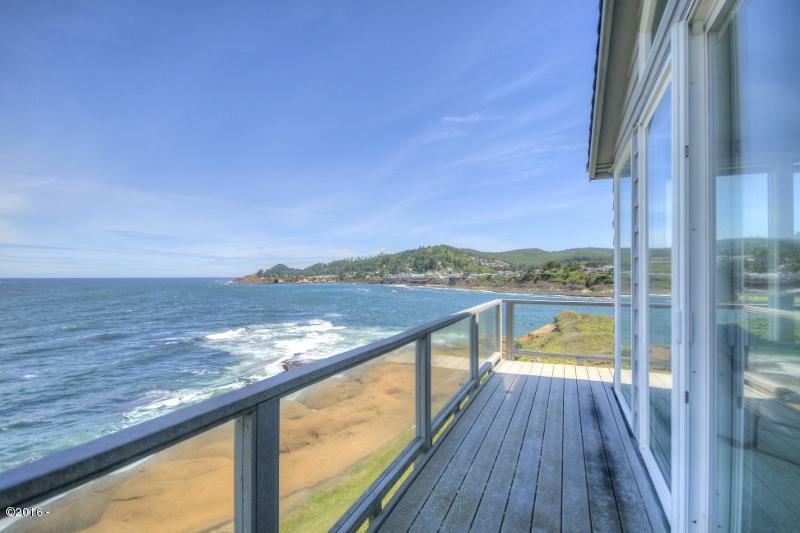 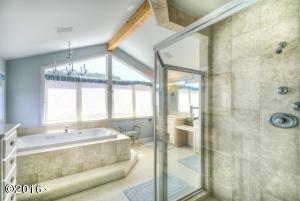 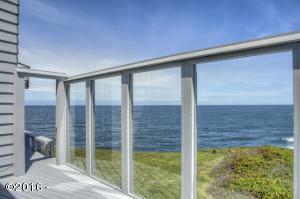 Well known as the ”Southpoint House” in Depoe Bay with gated entrance, slate patio entry and over 6,000 sq. 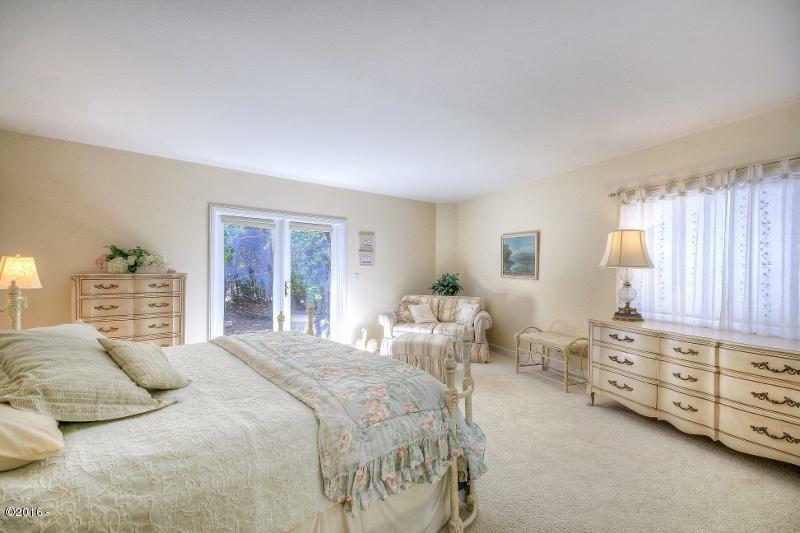 Ft. Of comfortable living. 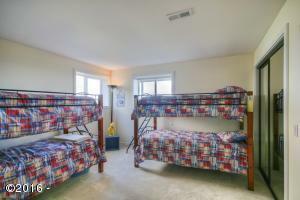 Completely remodeled in 1996 and updated 2003. 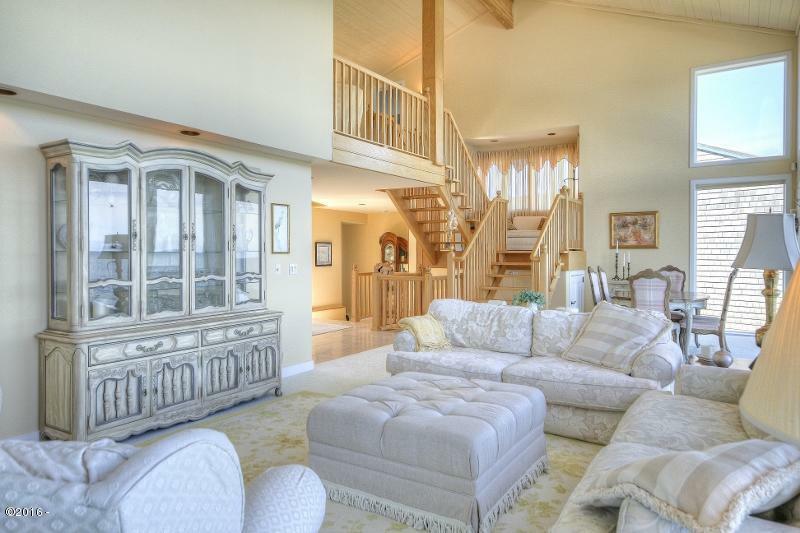 This home features 6 fireplaces, 2 living areas, family room, TV Room/game room and fabulous master suite. 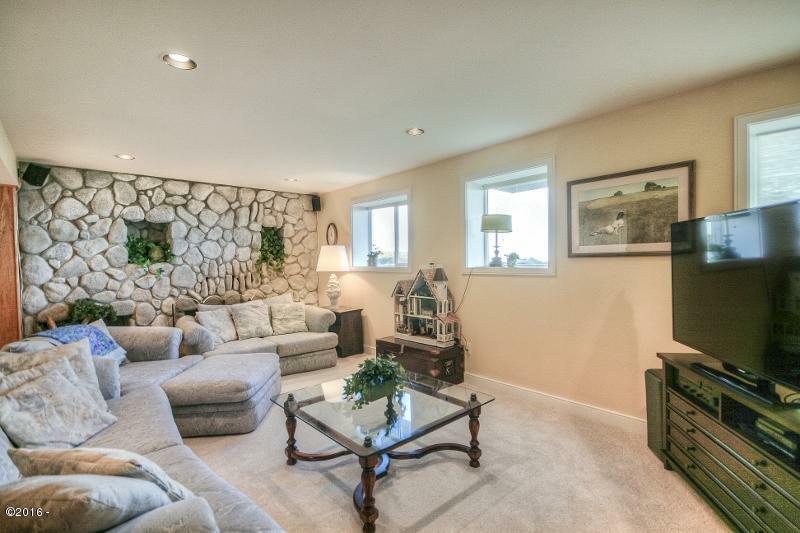 Quality construction throughout. 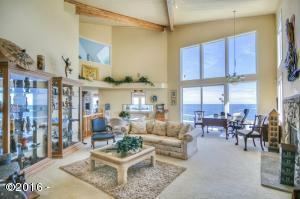 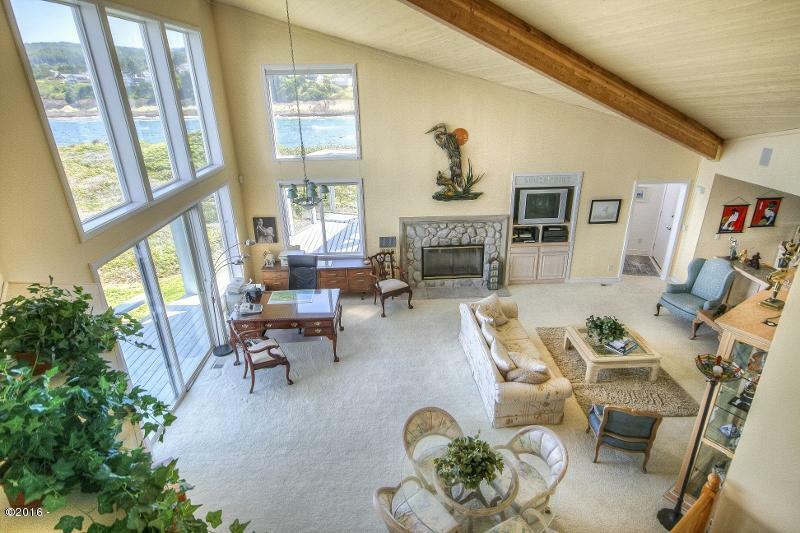 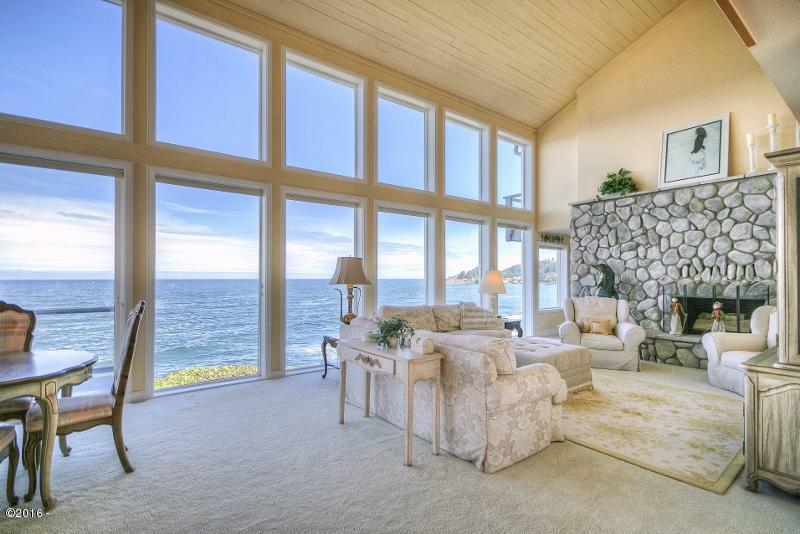 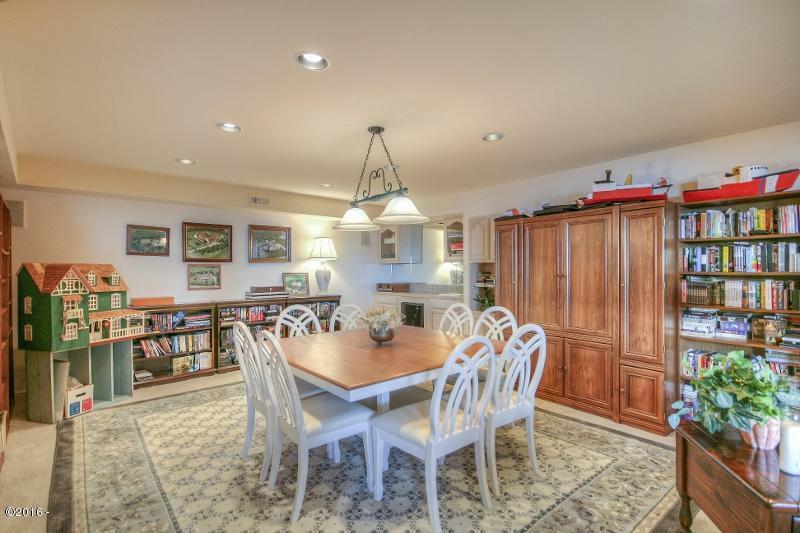 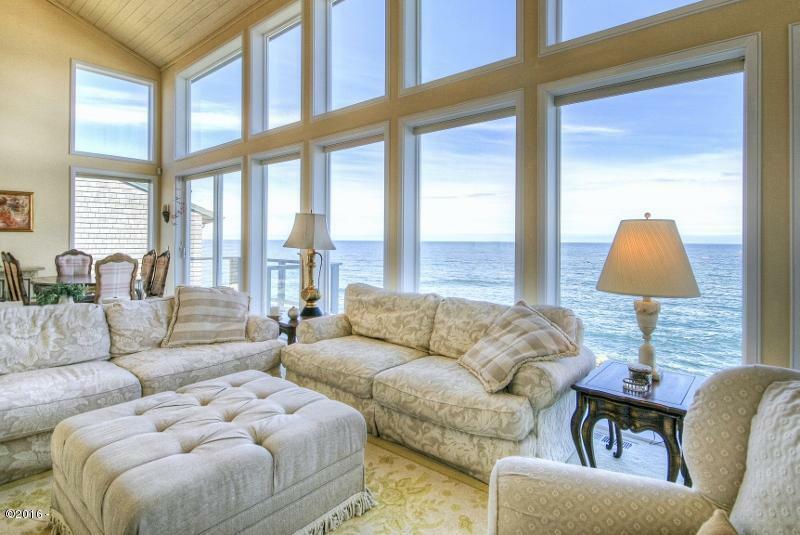 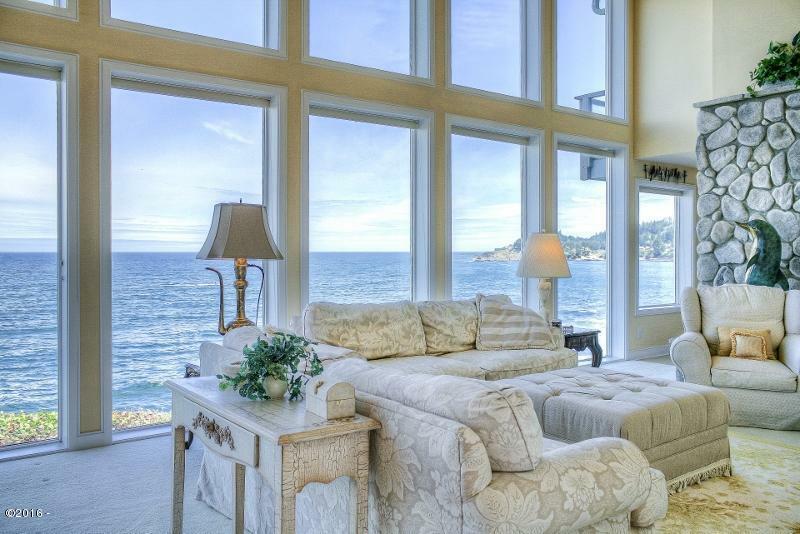 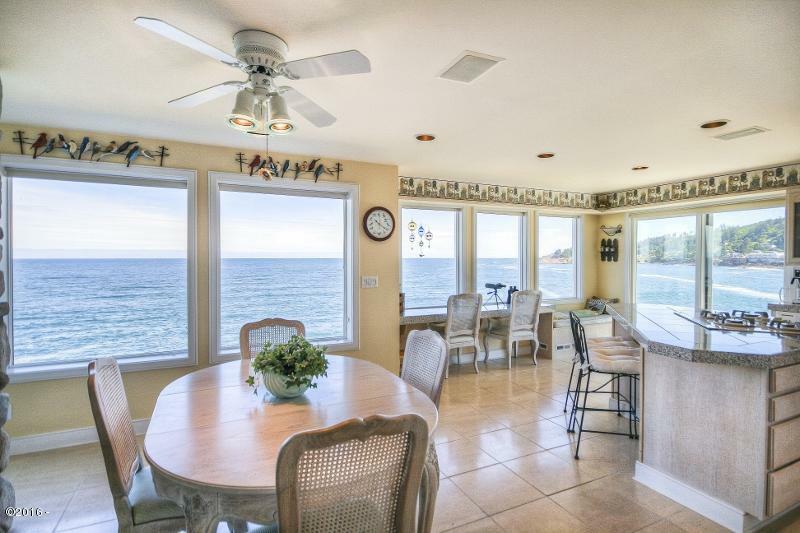 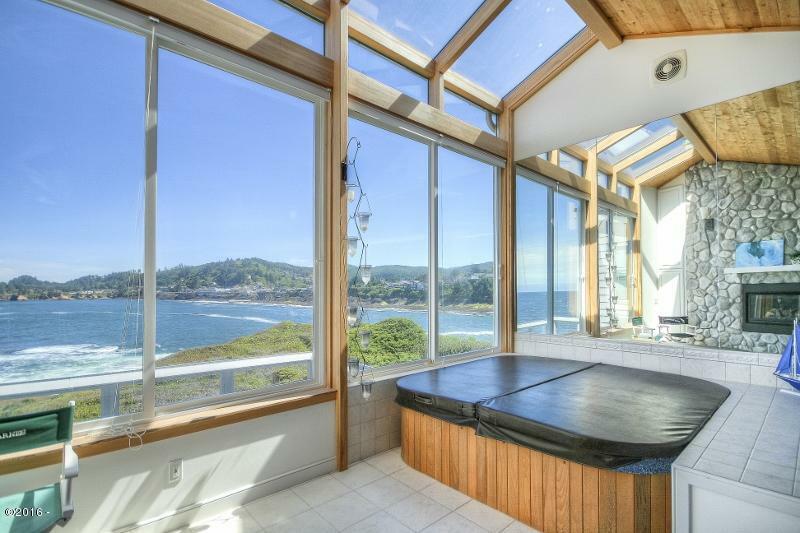 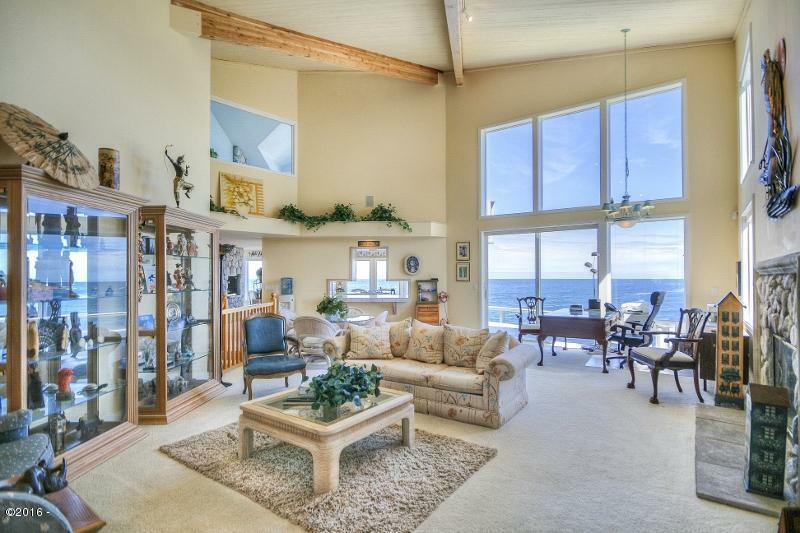 Room for all your entertaining and some of the best views on the coast. 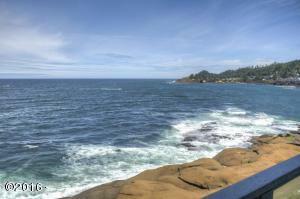 You can almost touch the whales. 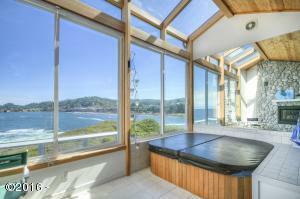 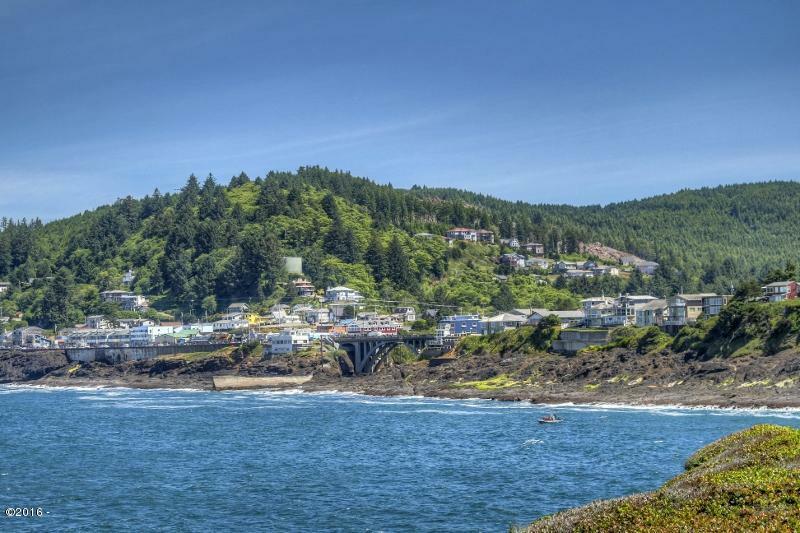 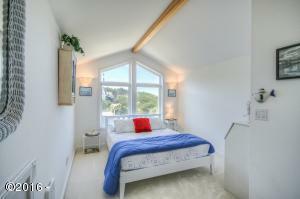 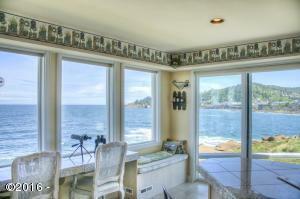 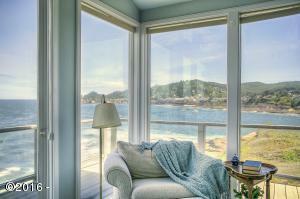 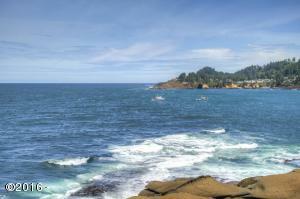 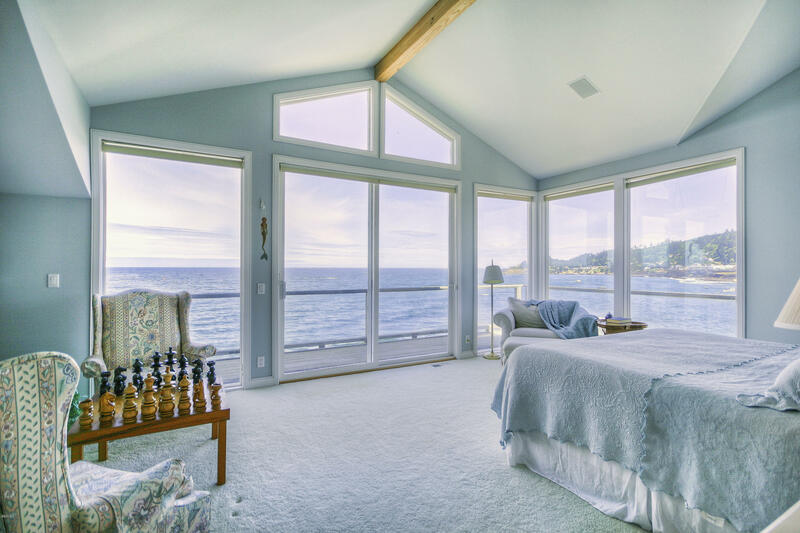 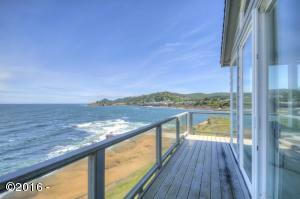 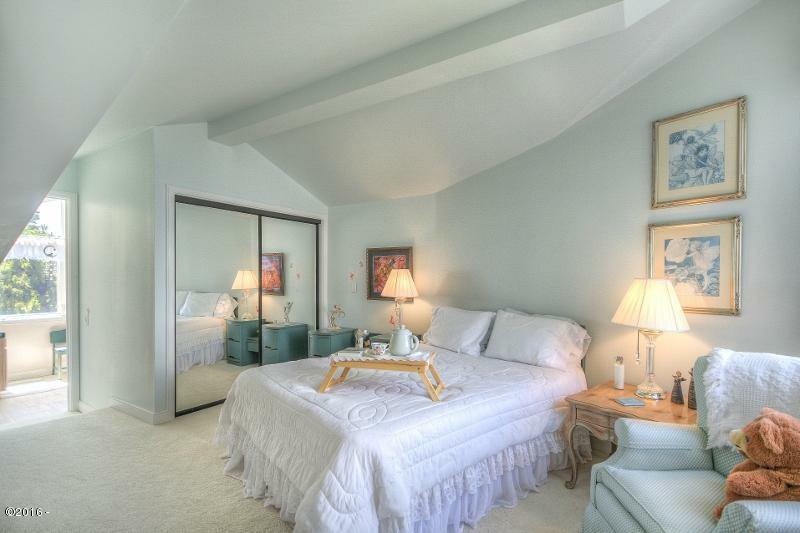 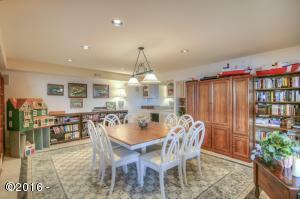 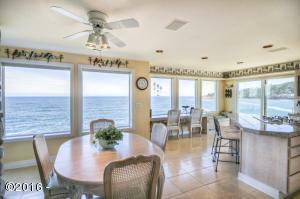 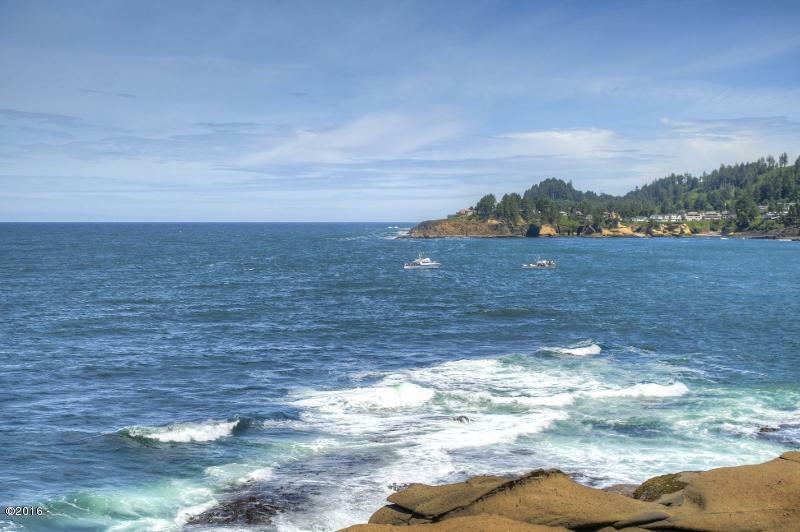 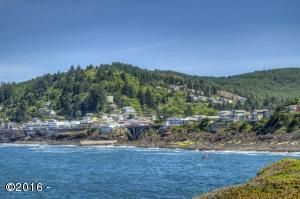 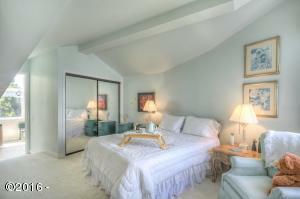 . . Watch the fishing boats, channel, bird life and Depoe Bay Bridge from practically every room. 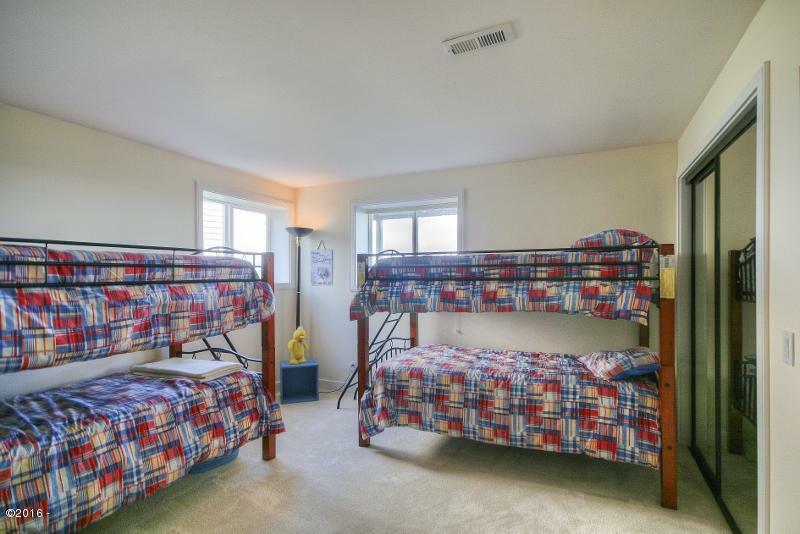 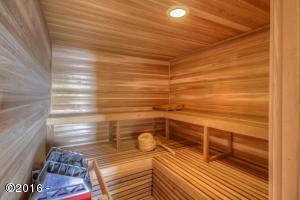 Amenities include 2 hot water heaters, 2 gas furnaces, steam shower and sauna, wine closet, 2 self cleaning ovens, gas counter top burners with granite and alarm system. 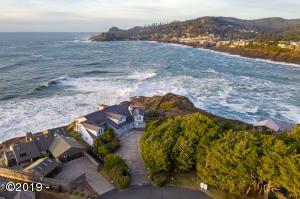 Directions West on Southpoint, north on Cliff to end on corner.